 Your gift to the Aurora Community Fund with the Buchanan County Community Foundation will support qualified agencies/projects/programs that serve the community of Aurora, Iowa. Your gift to the Aurora Historical Society Fund with the Buchanan County Community Foundation will support historic preservation in Aurora, Iowa, and surrounding areas. Your gift to the Buccaneer Foundation, Inc. Endowment Fund with the Buchanan County Community Foundation will support the educational, benevolent, charitable, or public purposes of the East Buchanan Community School District in Buchanan County. Your gift to the Buccaneer Foundation Vocational Agriculture-FFA Fund with the Buchanan County Community Foundation will benefit the "Vocational Agriculture-FFA program" of the East Buchanan Community School District located in Winthrop, Iowa. Your gift to the Buccaneer Foundation-Light the Sky Fund with the Buchanan County Community Foundation will support the charitable, educational, and scientific purposes of and for the benefit or support of activities at East Buchanan Schools in Winthrop, Iowa. Your gift to the Buchanan County Community Impact Fund with the Buchanan County Community Foundation allows us to continually respond to the current and unique needs of Buchanan County. By making this gift, you give us flexibility to fund charitable programs and projects in the community to explore the arts and celebrate diversity, support healthy lifestyles, protect natural resources, educate future generations, preserve the past, build hope for tomorrow, ensure a safe place to live, and improve the quality of life for all.